In the winery, some thirty small-capacity temperature-controlled vats (between 50 and 130 hL) are used to vinify the grapes variety by variety, plot by plot, with cutting-edge temperature control. Each batch is vinified separately for greater precision. Concerning the red wines, the duration of pre-fermentary maceration is adjusted to the various batches, varying between 2 and 5 days. Alcoholic fermentation is handled gently without addition of any yeast – it is the estate’s indigenous yeast that does all the work. On average, some wine is run off from each vat once. 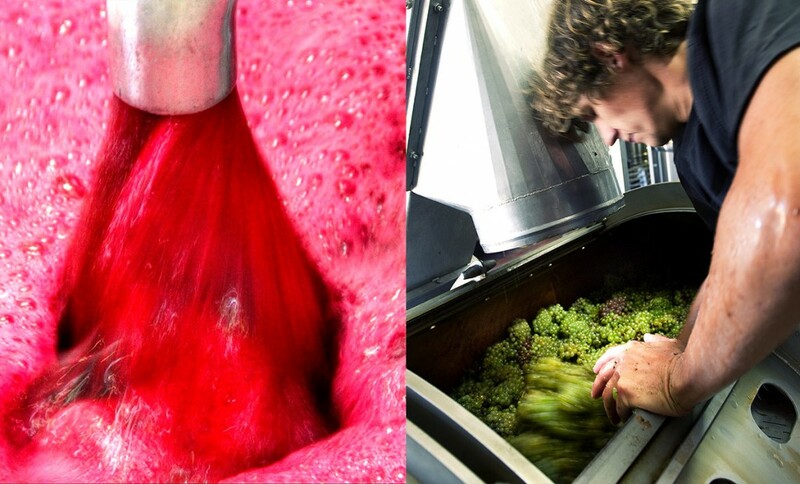 Maceration varies between 25 and 35 days, according to the batches and the tannin quality of the vintage. Elegance is the aim, so cap punching is prohibited, although the wine is pumped over regularly to extract fruit and tannin. Malolactic fermentation is carried out in vats. 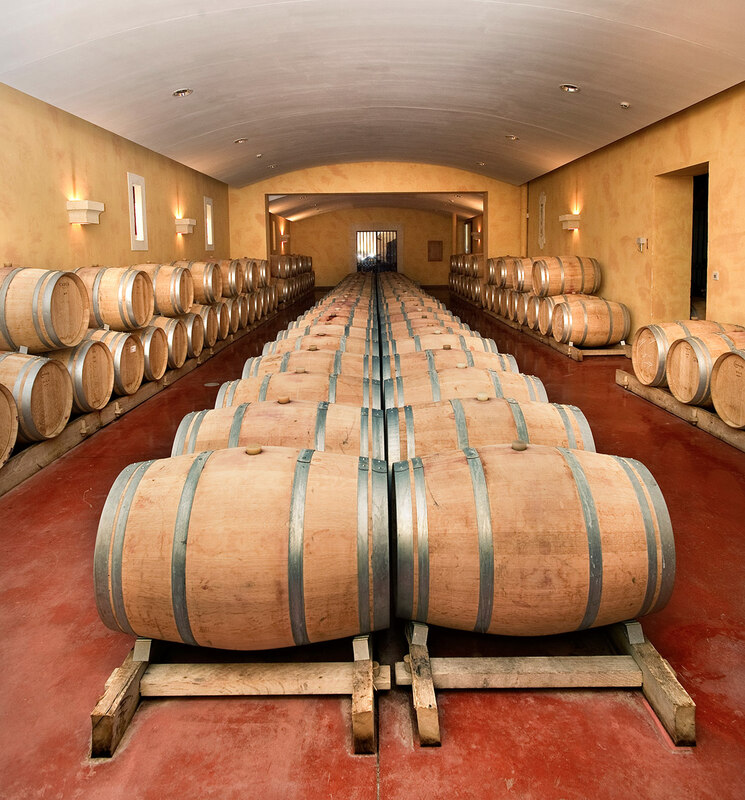 The wine is then matured in french oak barrels. Pressing the white wines. Racking a vat. For the white wines, the bunches are transported into the vathouse in trays to be pressed in a horizontal pneumatic press. The juice is decanted in cold conditions and allowed to settle in stainless-steel vats without malolactic fermentation. Alcoholic fermentation is exclusively in barrels (50% new wood). Our rosé is made by direct pressing, the only one of its kind in Bordeaux: it is crafted with the same care as our white Grand Vin, using a selection of grapes from plots of red varieties planted on fresher soils, which are picked by hand just before the main harvests. It is vinified in barrels. Château BROWN matures its white and red wines exclusively in French oak barrels. The whites go into barrels from alcoholic fermentation and stay there on the fine lees for 8 to 10 months (50% in new barrels and 50% in one-wine barrels). The lees are stirred weekly almost throughout maturing to keep them in suspension and reveal the best of the aromas. The reds will pursue their maturing for 12 to 15 months in barrels, 30% in new barrels and the rest in one-wine barrels and two-wine barrels. The batches are tasted regularly to decide on the final blend. It is only at the end of maturing that the wines will be blended, with all the precision of Jean-Christophe Mau and Bruno Patrouilleau, for both red and white. This wine is the expression of all the know-how and meticulous attention to detail of CHATEAU BROWN. The rosé will be matured in one-wine barrels in our wine-cellar for a duration of 4 months, with slight stirring of the lees.